The black, brown animal prints of the Balmain Fall/Winter 2017 Womenswear collection were the inspiration for this season’s limited edition Hair Barrette. 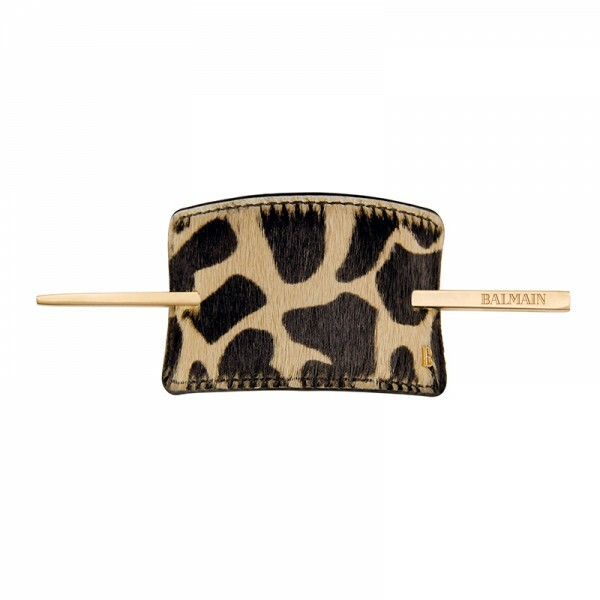 The Hair Barrette is designed with a 14k gold plated hairpin with engraved Balmain logo. Perfect to add a touch of class to any hairstyle. Content: Genuine hair on leather Hair Barrette with giraffe print, 14k gold plated hairpin, black velvet Hair Barrette pouch, hair elastic and bobby pin.